The physical size, weight, and display resolution are just a few of the benefits of the MVX. 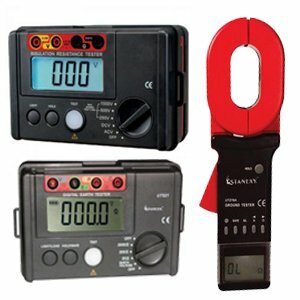 The adjustable square wave pulser provides the flexibility necessary for both high resolution and penetration requirements. 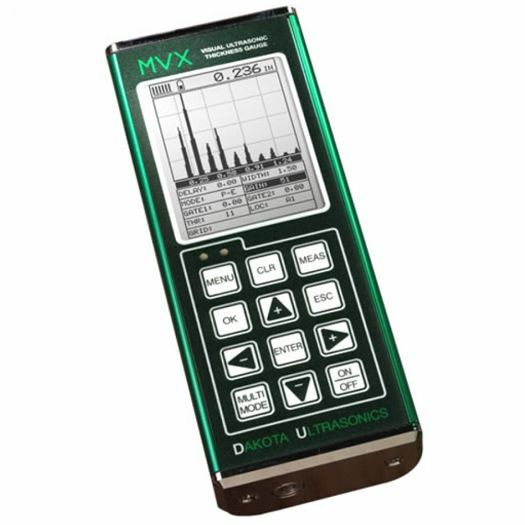 The MVX is equipped with multiple viewing options to provide users with a complete set of inspection tools: (RF waveform, +/- Rectified waveform, Time based B-Scan, and Large Digits). 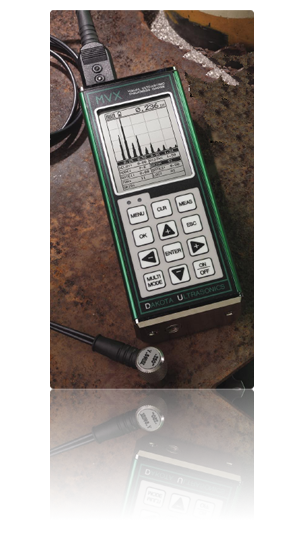 The A-Scan rectified mode is commonly used for detecting flaws/pits in pulse-echo mode and measuring thru-paint and coatings in echo-echo mode. 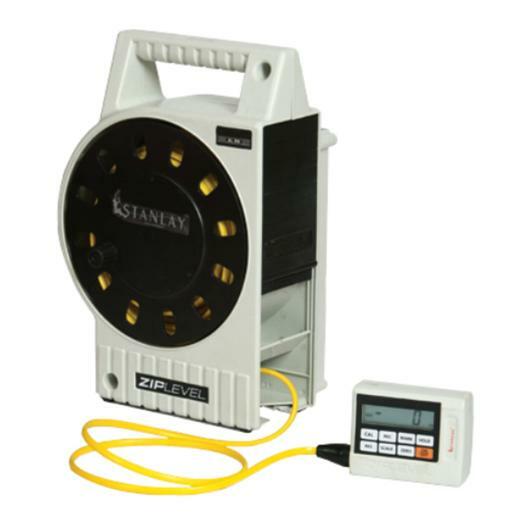 Built-in hardware AGC gain control for thru- paint measurements in multi-mode operation. 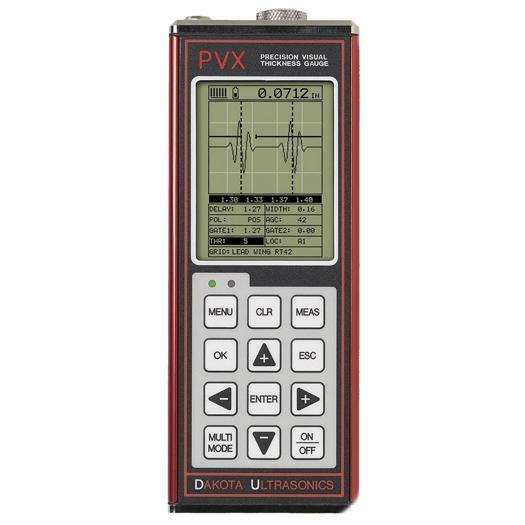 The variety of calibration options is just one more example of MVX's overall versatility. The MVX has the ability to store 64 custom user-defined setups. All factory setups can be selected, edited and saved to any setup location. 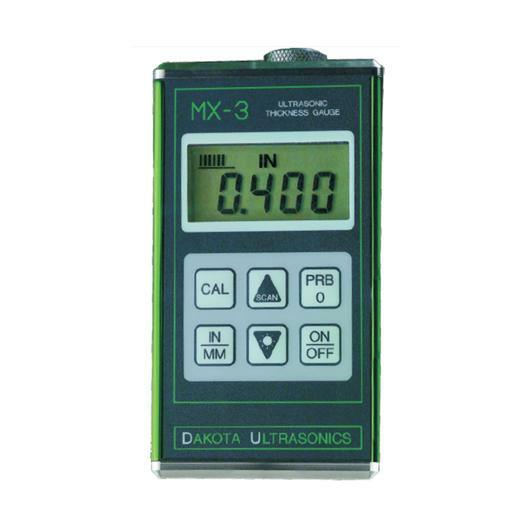 MVX is equipped with an alpha-numeric data logger to provide increased versatility for those custom reporting needs. The built-in transducer type’s offer increased linearity between transducers. 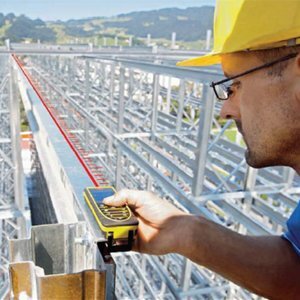 The high speed scan feature speeds up the inspection process by making 32 measurements per second. 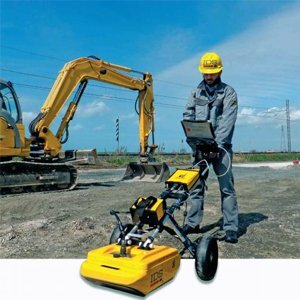 Remove transducer from the test material and display the minimum measurement scanned. Visual alarm with Hi and Lo limit settings for specific application tolerances. A basic Flaw Prove-Up Mode for use with angle beam style transducers. Operating Temperature: -14˚ to 140˚F (-10˚ to 60˚C). Data Output: Bi-directional RS232 serial port; Windows® PC interface software. Display: 1/8in VGA grayscale display (240 x 160 pixels); viewable area 2.4 x 1.8in (62 x 45.7mm); EL backlit (on/off/auto invert). Timing: 20 MHz with ultra low power 8 bit digitizer. Typically operates for 150 hours on alkaline and 100 hours on NiCad (charger not included). Auto power off if idle 5 minutes. Battery status icon. Pulse-Echo Mode: (Pit & Flaw Detection) measures from 0.025 9.999 inches (0.63 to 254 millimeters). Echo-Echo Mode: (Thru Paint & Coatings) measures from 0.050 to 4.0 inches (1.27 to 102 millimeters). Range will vary +/- depending on the thickness of coating. A-Scan Rectified +/- (flaw view) RF (full waveform view) . B-Scan Cross section view; display speed of 15 secs per screen. Large Digits Standard thickness view; Digit Height: 0.400 in (10mm). Scan Bar Thickness 6 readings per second; Viewable in B-Scan and Large Digit views. Gates: Single gate in pulse-echo mode, or single gate with holdoff in echo-echo mode; Adjustable threshold. Locking quick disconnect "00" LEMO connectors. 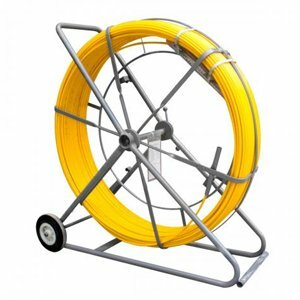 Custom transducers and cable lengths are available for special applications.